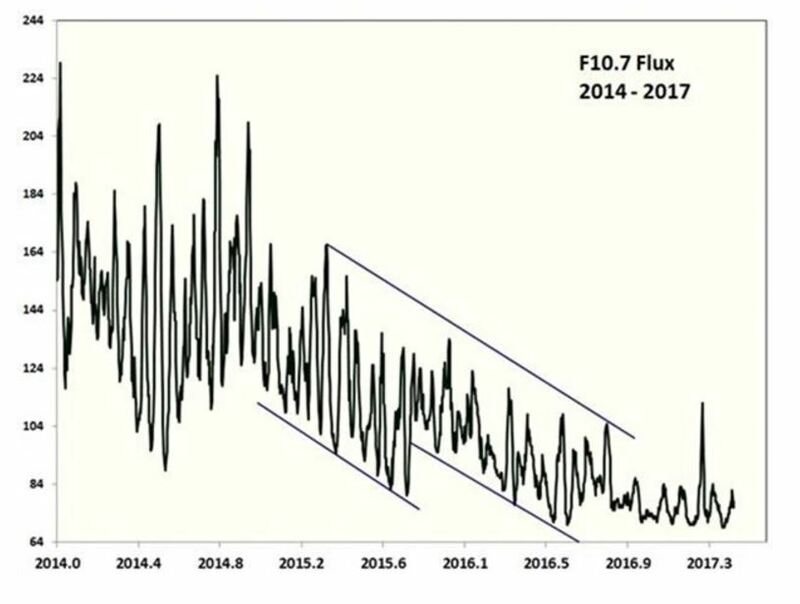 The energy output of the sun I have reported is crashing faster than anyone expected. Normally, when the cycle has changed from global warming to global cooling, it has tended to be more gradual. 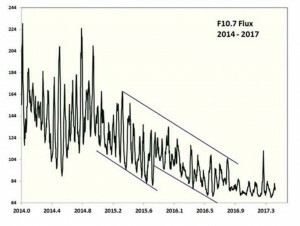 It appears the energy output of the sun may be now making 100 year lows. We have seen food shortages in Europe and several very cold winters there. The North Pole has also shifted direction in 2000 and has been moving toward Europe at 55km annually, also a speed never seen before. So while everyone is crying about Trump pulling out of the Paris accord, it should be noted that they would not allow anyone to speak there who disagreed with them. This is no longer about science. Global Warming seems to have crossed over into some sort of religion and nobody will even look at the data which shows them there is something much larger at stake going on here – the nature of cyclical activity. Dark Ages have taken place also in union with this type of crash in the energy output of the sun. It drove the Greeks out of Greece to become the Sea People and invade the northern coast of Africa. The Biblical Philistines were not barbaric in the least and that seems to be the interpretation of the victor, not the truth. New findings have most likely solved the mystery of the Philistines’ origins. They were among the famous Sea People who arrived in the Levant in the 12th century B.C. fleeing from Global Cooling, as recorded in Egyptian accounts. They settled between the Israelite tribes to the east and the Egyptian empire to the south. Excavations at several of these Philistine cities have revealed that their red-and-black ceramics pottery is striking similar to the styles of the Mycenaean Greeks. They say that history is written by the victor. That is very true. Right now, the Global Warming crowd has convinced the world it is once again linear and flat, denying the evidence of the cyclical nature of this planet. This is another reason they want Trump’s head on a platter, but served cold not warm.